For Kyle Walker-Peters, playing at Tottenham Hotspur’s new stadium means a little bit more. The defender celebrated his 22nd birthday in the 4-0 win over Huddersfield Town at home on Saturday. The ground is almost like home for Walker-Peters, who grew up just a goal kick away from the breathtaking new venue. Speaking to Spurs’ official website, he revealed how special it is for him to be playing in what is essentially his own back garden. “I grew up in the area and remember my dad bringing me to White Hart Lane for Brazil v Wales when I was younger,” he said. “Playing on the field in our new stadium means an awful lot to me. “To see what the stadium is doing for the area too is fantastic. “This area has a big place in my heart. This is big for me. I used to play football around the corner. 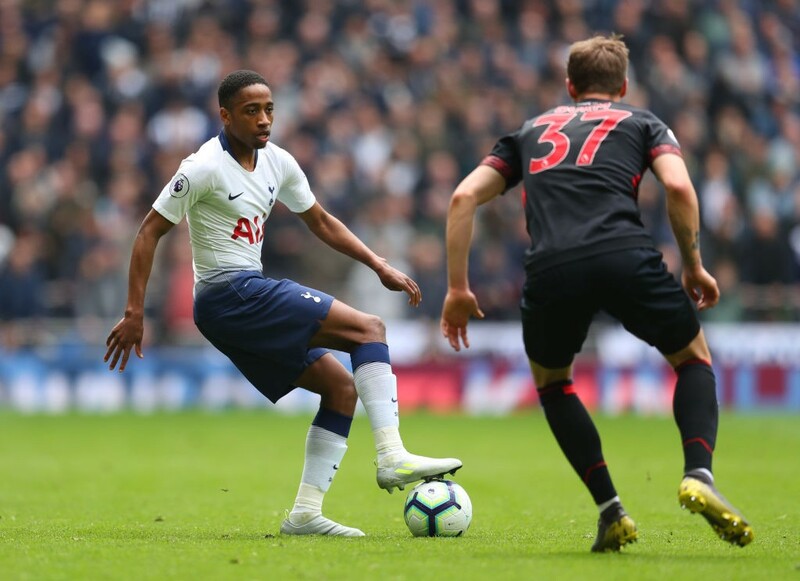 The weekend win was Walker-Peters’ first game at Spurs new home, having never made a senior appearance at Wembley.